A stellar Isle of Wight Festival line-up marked the events’ 50th anniversary on a Serious 25m TZ main stage for the first time, June 21-24, 2018. This was a historic moment for the organisers celebrating the festivals 50th year with 90,000 guests being entertained across four days by artists including Kasabian, Nile Rodgers & Chic, Liam Gallagher and The Killers. For Serious Stages this was a significant debut at the Isle of Wight Festival. “As well as delivering our 25m TZ stage, specifically designed for the festival market, we also provided a wide range of structures to make it convenient for the client’s, with Nathan Kemp being our main point of contact for project management, supported by experienced crew on site. 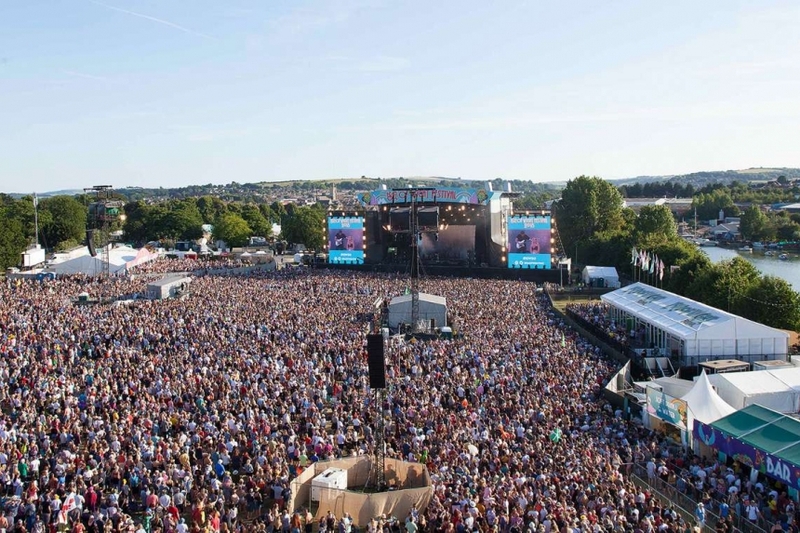 At The Isle of Wight we also supplied pa delay towers, spot pods, screen goalposts, indoor ground supports, front-of-house structures, assisted viewing platforms, site structures and gantries. I believe our ability to deliver all of this makes it more cost effective and logistically efficient for the clients, which coupled with our specifically designed and manufactured inventory has made us appealing to the Isle of Wight.